Here, in six parts, is that evening, one I won’t ever forget for swing, elegance, humor, feeling, and the joy of being alive, the joy of playing music. And here is what I posted about the evening as prelude — don’t miss Flip’s beautiful words about Bill. I hope some person or organization, seeing these videos, says, “Let’s have Bill and Flip spend an evening with us!” You know — for sure — that they have more music to offer and certainly more stories. And their rich musical intimacy is wondrous. To learn more about Bill, visit www.billcrowbass.com/. To find out about booking the duo, contact Flip at flippeters@gmail.com or call him at 973-809-7149. I hope to be able to attend the duo’s next recital: watch the videos and you will know why, quickly. Bill Crow is one of the finest jazz string bassists ever. But don’t take my word for it — hear his recordings with Marian McPartland, Jo Jones, Zoot Sims, Stan Getz, Gerry Mulligan, Al Haig, Jimmy Raney, Hank Jones, Jimmy McPartland, Manny Albam, Art Farmer, Annie Ross, Jimmy Cleveland, Mose Allison, Benny Goodman, Cliff Leeman, Pee Wee Russell, Joe Morello, Clark Terry, Ben Webster, Jackie and Roy, Bob Wilber, Ruby Braff, Eddie Bert, Joe Cohn, Mark Shane, Jay McShann, Al Grey, Barbara Lea, Claude Williamson, Spike Robinson, and two dozen others. And if you notice that many of the names on that list are no longer active, don’t make Bill out to be a museum piece. I’ve heard him swing out lyrically with Marty Napoleon and Ray Mosca; I’ve heard him lift the room when he sat in with the EarRegulars, and he plays just as beautifully on JUST A CLOSER WALK WITH THEE as he does on a more intricate modern piece. And did I mention that Bill recently turned 88? Thurs. – Jan. 28, 2016 – 8:00pm – 9:30 pm. – The DiMenna Center for Classical Music – NYC – Bill Crow Project 142 Concert with Flip Peters – 450 West 37th St. (between 9th & 10th Aves.) – Benzaquen Hall (elevator to 1st Floor) – Doors open @ 7:30p. – $15.00 Concert Charge @ door. I first became aware of Bill Crow in the early 1960s when as a young jazz fan I heard him with Gerry Mulligan. I remember around that time reading a quip in Down Beat about bass players with bird names, Bill Crow, Gary Peacock, and Steve Swallow. 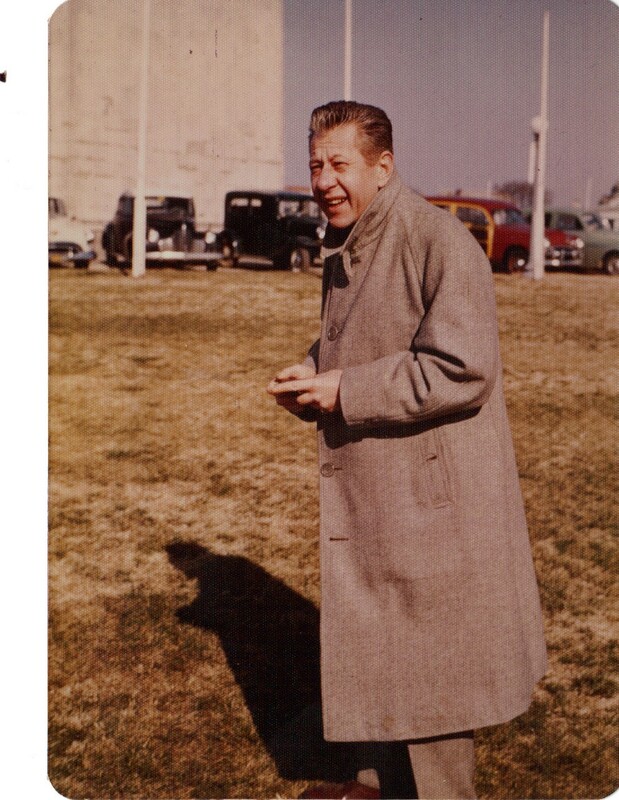 In the early 1980s, I began to read Bill’s column, “The Band Room,” in the Local 802 paper, Allegro. That column is a highlight and I turn to it first each month when I get that paper. I received a copy of his Jazz Anecdotes as a Christmas present a few years back and thoroughly enjoyed it. I first played gigs with Bill in 2014. The first one we played on together was a Gatsby-themed party with Marti Sweet’s Sweet Music (www.sweetmusic.us). On that gig Bill doubled on bass and tuba and I was struck by his mastery of the tuba. After that we played private party gigs and some Dixieland gigs with trumpeter Tom Keegan. Then in 2015, I played on gigs with Bill in Rio Clemente’s band (www.rioclemente.com). On one of those gigs, Bill asked me to join him at Shanghai Jazz where he had been hired to speak and play for the Jersey Jazz Society. After that gig I decided that it would be a good idea to present this to a wider audience. Anyone who loves jazz would be fascinated to hear Bill recount some of his many stories, and of course to hear him play. I am honored and thrilled to play music with Bill. He is a rare person and musician. Not only is he a virtuoso on his instruments but he is a true gentleman. When you are in his presence you can’t help but feel comfortable. When he relates his experiences, everyone present feels as though they are sharing those moments with him. And he continues to play at an extremely high level. He has truly stayed at the top of his game for many years. He maintains a busy playing schedule and plays with the energy of a young musician who possesses the experience of an elder statesman. You can find out more about Bill at his website but I politely urge you to put the phone down, back away from the computer, and join us on Thursday night to hear Bill and Flip, in music and story. Evenings like this are rare. 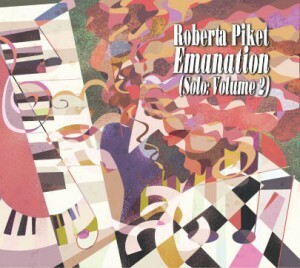 In a world where we are asked to pretend that the hologram is human, pianist / composer Roberta Piket’s music is so refreshing for its integrity and honesty. I feel that she approaches her music with that most winning openness: “Let me see what can come of it,” and the results are elating. She has power but she isn’t angry at the keyboard or at us. Rather, hers is a singular balance between toughness and gentleness: her music peers into the darkness without getting downtrodden and brings back light from surprising angles. Her playing is original without being self-consciously “innovative,” and it isn’t a catalogue of familiar gestures, audience-pleasing bobs and weaves . . . there is nothing formulaic in her art. Honoring her and our Ancestors, she pays them the best tribute, which is to sound like herself. Her art — deep and subtle — is wonderfully on display on her new solo CD, which is (happily for us) her second solo exploration, EMANATION. Roberta’s chosen repertoire is for the most part recognizable — not an ego-display of one “original” after another) but she isn’t trapped by the Past. Her evocations of Monk, Romberg, Gillespie, Arthur Schwartz, Kern, McPartland, and Hancock are both reassuring and playfully lit from within. One could play this CD for someone who “doesn’t like jazz” without causing trauma, but it is galaxies away from Easy Listening Piano For People Who Aren’t Listening. Her two originals, the wistful SAYING GOODBYE and the sweetly curious EMANATION, are full of feeling — novellas of sound. The CD closes with her variations on a Chopin theme . . . both a loving bow to the source and a gentle statement of her own identities. The CD — beautifully recorded, with wonderful notes by the eminent Richie Beirach — is a fifty-minute journey into other worlds, both nearby and tantalizingly far-off. Visit here for sound samples and ordering information and here to learn more about Roberta, her music, and upcoming gigs. Because I know my audience is honest and trustworthy, I offer a boon for those who check out the CD and Roberta’s site (I’ll know! ): music from a divine duo concert by Roberta and Lena Bloch, from February of this year, at The Drawing Room — here. Gorgeous searching music from two modern masters. (Learn more about Lena here. Music and musicians like Roberta and Lena give me hope. I did not get to see the film THE GIRLS IN THE BAND when it had a New York screening in April 2013, but thanks to the Beloved, we saw it last night on the other coast. It is a superb film, with much to say to everyone: you don’t have to be a jazz scholar or a student of women’s history to be pleased by the music, enlightened and heartened by the courageous and insightful women portrayed in the film, and appalled by the world in which they struggled for equality and visibility. The music known as jazz — however you choose to define it — has cherished its reputation as free-wheeling, radical in its approach to established texts. It has presented itself as music played by courageous innovators for people who were willing to go beyond what was immediately accessible, aimed at the widest audience. Much of that remains true. So it is an unpleasant irony that some people associated with jazz — including the musicians themselves — have excluded and derided artists who didn’t fit their narrow criteria for acceptance. The wrong color? Ethnicity? Sexual preference? Gender? We have made some progress in believing that you need not be an African-American from New Orleans to be “authentic,” but jazz has long been the self-declared playground of men. Women have been accepted on the bandstand for more than the last century — as singers whose job was to sound pretty and look prettier. But women instrumentalists and improvisers have only recently begun to gain anything but a grudging acceptance from their male peers. Lovie Austin, Dolly Jones, Mary Lou Williams, Marian McPartland, Mary Osborne, Marjorie Hyams, Melba Liston, and Vi Redd come to mind as twentieth-century pioneers, facing discrimination and rejection. “Can she play?” should have been the only question, but it often was never asked. And “all-women” bands, no matter how compelling their music, were often seen as freakish, the improvising equivalent of Dr. Johnson’s lady preacher. Sherrie Maricle and others might tell us that the situation is improving . . . but some barriers still remain. THE GIRLS IN THE BAND, directed by Judy Chaikin and produced by Nancy Kissock, is a concise yet powerful documentary — eighty minutes of music, reportage, and vivid film memoir taken from over three hundred hours of material. It isn’t a history as such, tied to chronology, nor is it pure polemic. It is human and humane: we hear the stories of women who, early on, were intoxicated by the music and the desire to create it, then made their way into public performance — overcoming the obstacles put in their way by everyone who had a stake in keeping things the way they were: male musicians, critics, record producers, clubowners, concert promoters, and more. I have to say that I am a very reluctant movie-goer. I get restless quickly; I am impatient with films that are too simple or too elusive; when a film is concerned with a subject I know well, the slightest error turns me chilly. I thoroughly admired and enjoyed THE GIRLS IN THE BAND and encourage JAZZ LIVES readers to seek it out. The pioneering women, candid and self-aware yet unassuming, telling their stories, will stick with you long after the final credits have rolled. The Beloved was appalled at the women’s history she had not known and entranced by the sound of Melba Liston’s trombone on a ballad. I made a commitment of my own: I bought a THE GIRLS IN THE BAND t-shirt and will add it to my fashion repertoire. Here is the film’s Facebook page. And in the discussion that ensued, this point was made — I offer it in my own way. When we read in the popular press that a restaurant chain does not serve or employ people of a certain ethnicity or sexual orientation or religious belief, we are outraged and we do not eat there anymore. “There are laws against such things,” we say proudly. But when there is evidence of gender bigotry in jazz, many of us do not even see it, nor do we protest. I would not insist that a band in a club be comprised as if by census, but we should notice when the faculty at jazz studies programs is uniformly male. When a jazz camp has no women as instructors, is it because there are no competent women players? Where are the women in the Jazz at Lincoln Center Orchestra? The list is longer than I could write here. The late Carline Ray, a shining light of the film, reminds us that if we heard a man or a woman playing from behind a curtain, we could not correctly identify the player’s gender. Where are the “blind auditions” now common practice in symphony orchestras? One of the ways to learn more about this chapter of history — not just women’s history — is to see THE GIRLS IN THE BAND and to encourage others to do so. And, just incidentally, you will have witnessed a real accomplishment in film-making.